aaoils.co.uk 3 Star Luxury B&B Stirling Scotland near William Wallace ..
aaoils.co.uk B&B near Stirling in Scotland close to Stirling Castle ..
ns2.bedotdns.com, and ns1.bedotdns.com are its DNS Nameservers. It is hosted by Eukhost Ltd (England, Leeds,) using Apache web server. 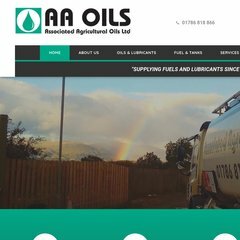 Aaoils.co.uk's server IP number is 213.175.215.120. PING (213.175.215.120) 56(84) bytes of data. A time of 99.9 ms, is recorded in a ping test.